Newly recruited Huthi fighters gather in the Yemeni capital on August 24, 2017. SANAA - The head of Yemen's Shiite Huthi rebels threatened Thursday to fire missiles at the United Arab Emirates and to attack Saudi tankers in the Red Sea. 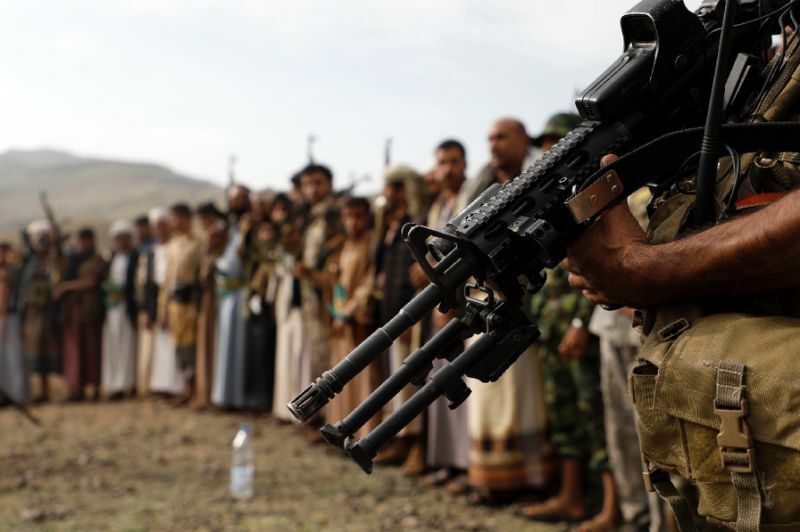 The UAE, a key member of a Saudi-led Arab coalition fighting the Iran-backed rebels in Yemen's conflict, "is now within range of our missiles", Abdel Malek al-Huthi, told the rebel-controlled television station Al-Masirah. "The companies which have been set up or which have investments in the UAE should no longer consider it a safe country." Huthi said his forces had advanced their missile technology to reach targets north of the Saudi capital Riyadh and south of Islam's holiest city Mecca in the west of the oil-rich kingdom. The rebels' naval forces were capable of striking Saudi oil installations and tankers in the Red Sea, he said, warning against any attempt to capture the rebel-held port of Hodeida. More than 8,400 people have been killed since the Arab coalition intervened in support of the Yemeni government in March 2015. The head of Yemen's Shiite Huthi rebels threatened Thursday to fire missiles at the United Arab Emirates and to attack Saudi tankers in the Red Sea.